Tony Soprano’s fate may have been ambiguous in The Sopranos, but his story isn’t over yet! Sopranos creator David Chase is moving forward with The Many Saints of Newark, a prequel movie set in the ’60s. Tony’s father, Johnny Soprano, will have a big role in the film, and so will Tony himself. James Gandolfini made a career defining turn as Tony Soprano, and now his son, Michael Gandolfini, will follow in his footsteps as a younger Tony Soprano. 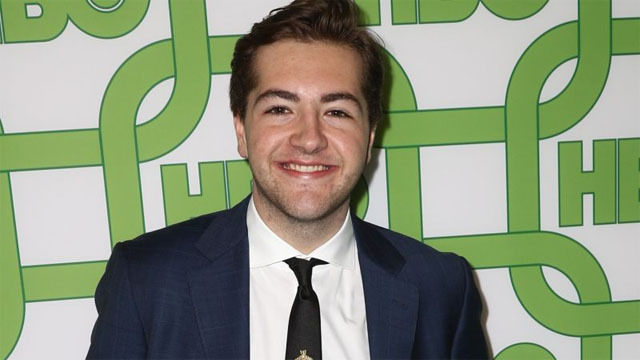 Deadline broke the story, and noted that Chase and director Alan Taylor didn’t simply hire the younger Gandolfini just because of his famous father. Instead, Taylor and Chase had an “extensive audition process” before settling on Gandolfini. In addition to his strong resemblance to his father, Michael Gandolfini’s “screen presence, mastery of Tony’s mannerisms,” and his insight into the character made him the final choice. Gandolfini has previously appeared in HBO’s The Deuce. Gandolfini told Deadline that it was “a profound honor to continue my dad’s legacy while stepping into the shoes of a young Tony Soprano.” “I’m thrilled that I’m going to have the opportunity to work with David Chase and the incredible company of talent he has assembled for The Many Saints of Newark,” added Gandolfini. Alessandro Nivola, Vera Farmiga, Jon Bernthal, Billy Magnussen, and Corey Stoll will also star in the film. Nivola will play Dickie Moltisanti, Tony’s mentor, and the father of Christopher Molisanti on the show. Are you excited to see Michael Gandolfini as young Tony Soprano? Let us know in the comment section below!